A guide to the Archives, using finding aids and Digital Smith, as well as requesting information and help for your research needs. This guide provides a list of resources for the Visual & Performing Arts and Music disciplines. Resources included in this guide are: print books that are housed in the James B. Duke Memorial Library and books available through Worldcat by OCLC, ebooks available through the library’s databases and open source ebook collections, course reserves, databases, academic journals and magazines housed in the library, interlibrary Loan (ILL) process and request form, the Charlotte Area Educational Consortium and the Duke Endowment Library of 4 (TDEL-4) Agreement, along with associations, organizations, and programs for the visual and performing arts and music disciplines. This guide provides a collection of resources about programming, networks and web design. There is also a selection of links to free online tutorials, courses and books. This is a guide to library materials and outside resources to assist Community Health majors. This is a guide not only to help you use the library's resources but also containing links that will help you along your academic career. This resource is a valuable one-stop guide for everything one needs to help to get started or advance in the field of Sport Management. This guide provides a collection of resources about social work as well as links to organizations for professional development in the field. 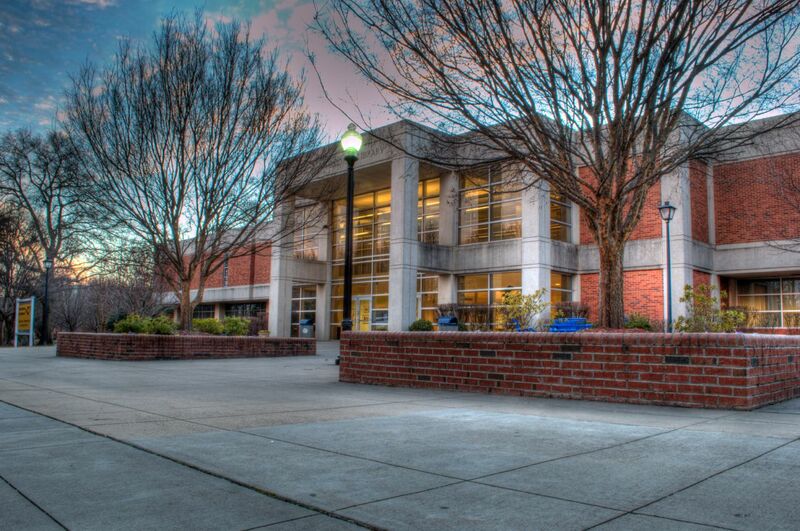 The Library Entrepreneur Research Hub (LERH) provides entrepreneur research support to JCSU students, faculty, and surrounding community members. Here, you will find valuable information for conducting research, writing a business plan, or just learning the basics about entrepreneurship. Examples of and instruction in how to properly cite using APA. Examples of and instruction in how to properly cite using CSE. An introduction to open educational resources: what they are, where to find them, and how to evaluate them. Here you will find links to any additional Research Guides that have been created for the various departments here at Johnson C. Smith University. Welcome to the James B. Duke Memorial Library! Here you will find information about the library as well as the services we offer. If you have any questions, comments, or concerns please do not hesitate to contact us! Scroll down to the dark blue section entitled "Select the Type of Material You Want To Search"
Type in your search in the box next to the magnifying glass; choose "Advanced Search" for more flexibility. Choose the database you’d like to search. They are arranged first by college and then in alphabetical order and there are descriptions of what each contains. Our biggest database is “ProQuest Central” and it contains hundreds of thousands of articles on over 175 subjects. Off-campus students will be prompted for a JCSU ID and password. Your JCSU ID is your email address before the "@" sign (for example, bndaniels.2014) and your password is your email password. Clicking on the "Advanced Search" option in any of our databases will give you more flexibility in your search. Go to the “Services" drop-down menu and choose "Articles & Databases"
Check the Narrow results by sidebar to further refine your search by publication date, geographic location, document type, etc. This list serves as a concise list of the general policies that govern the James B. Duke Memorial Library. If you have any questions about these rules please do not hesitate to contact us. A full list of our rules can be found here. Course reserves are textbooks and other materials that are for use in the library only for a two-hour period. We have four group and seven individual study rooms that can be checked out for a three-hour period. Please keep your phones on vibrate, headphones at a low volume and conversations to a minimum. Food in the library is limited to only individual snacks and drinks with lids. Please, no Burger King or Bojangles!